1. In the beginning of this debate President Obama wanted an increase in the debt ceiling and increased taxes on the “wealthiest taxpayers in America.” He did not even ask for spending cuts. 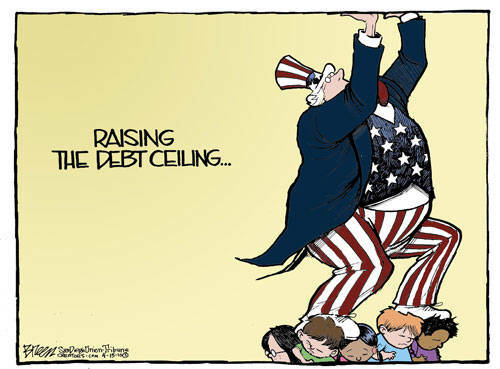 After all the dust had settled, the President got an increase in the debt ceiling somewhere between 2.1 and 2.4 trillion dollars which carries him through the 2012 elections. He might even get his tax increases as well, depending on the results of the newly created committee’s conclusions and subsequent congressional votes. Contrary to what has been stated, tax increases are not off the table under the terms of the agreement. 2. Despite all of the rhetoric and hoopla, the only actual GUARANTEES of spending cuts in this bill are $7 billion this year and $10 billion over two years. To put this is in a very pathetic perspective, bear in mind that the U.S government is now spending $11 billion per day! But, wait a minute, doesn’t the agreement call for a reduction in spending of $920 billion in discretionary spending in the first tranche and another $1.5 trillion by either sequestration or the Joint Select Committee by the end of 2011? The answer to that question is “yes, it does.” But in Washington the politicians have come up with something called “baseline budgeting.” You project an increase over current spending and then you reduce the amount of the increase and call it a cut. I fought my colleagues on this for 18 years to no avail. So, if Congress does make these reductions of $920 billion and $1.5 trillion respectively, it will mean a reduction off the baseline increase, but it is still an overall increase in government spending! Confused? That is exactly what the politicians and media want you to be. According to CBO (Congressional Budget Office) numbers, with this deal in place, the national debt will INCREASE to approximately $25 trillion by 2021. Since the current debt is nearly $15 trillion, does that sound like a decrease in spending to you? 3. As if all of the above was not bad enough, this “Debt Ceiling Compromise” creates a Joint Select Committee to do the work that Congress was elected to do. The leaders in Congress will appoint a 12 member committee, with 6 Democrats and 6 Republicans from House and Senate, to find the $1.5 billion in “cuts” (which are really the decreases in the increases under baseline budgeting). If the committee cannot agree, then 50 percent of the “cuts” will come from defense, while entitlements are left basically alone. In other words no entitlement reform again. After 50 years of presidents and Congresses not resolving the debt crisis, including the well touted, but utter failure of Gramm-Rudman, Congress stumbles up to the line and appoints a committee of its own members to deal with the crisis? Really? Politics wins and the people lose one more time. 4. None of this smoke and mirrors fooled Standard & Poor’s. For the first time in American history the bond rating of the U.S. government has been downgraded from AAA to AA+. In announcing their decision, Standard & Poor’s said that this agreement “falls short of what is needed to stabilize the nation’s long term finances.” Even worse, the United States is now rated with such nations as Taiwan and Slovenia, all because Congress was “sidetracked” by the debate over the debt ceiling and threat of default, instead of concentrating on true entitlement reform, spending cuts, tax cuts and other tax reforms and deregulation to create job growth. 5. There was a great amount of fanfare because part of the “deal” was to get a vote on a Balanced Budget Amendment to the U.S. Constitution. I have long supported this amendment and wish that it could pass. The truth is that, with the current makeup of the House and Senate, it cannot pass. The vote and debate will be good for morale, but unfortunately, this will have to come to fruition when the American people finally decide that to get it, more supporters will have to be elected. 6. In conclusion it is very easy to “Monday morning quarterback” but what should we have done, you ask? Here are several suggestions from one who spent 18 years on the Hill fighting the growth of this debt, while being marginalized by the liberal media and many opponents and colleagues as “out of the mainstream” for advocating fiscal responsibility. 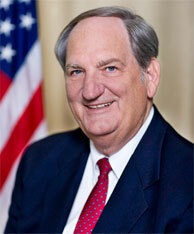 Former Senator Bob Smith (R-NH), known as “Senator Bob,” is a Special Contributor to Accuracy in Media. His columns and commentaries on media and politics will be available on a regular basis on the AIM website at www.aim.org. He can be contacted at senatorbobsmith@comcast.net.